(Beyond Pesticides, March 21, 2016) Last Thursday, Boulder County (CO) commissioners directed staff to draft up a plan to phase out genetically engineered (GE) crops on all farmland owned by the county. The county’s current policy, adopted in 2011, allows tenant farmers to grow certain types of GE corn and sugar beets on land leased through Boulder County, and will remain in effect at least until the end of the year. The five-year policy old has frequently come under fire from individuals and environmental groups that challenge the safety of GE crop production systems, and their effect on human health, water quality, soil health, and the overall environment. The Boulder County commissioners heard recommendations from the county’s advisory committees, including the county’s Croplands Policy Advisory Group, the Food and Agriculture Policy Group, and the Parks and Open Space Advisory Group. A public hearing was held on Feb. 29 also provided public input on whether to continue or change the current approval in Section 6.1 of the Boulder County Parks & Open Space Cropland Policy that allows for the use of certain genetically engineered (GE) crops on Open Space land. That approval expires on December 20, 2016. More than 100 people spoke at the day-long public hearing, and hundreds more have submitted written comments since mid-January. After the public comments, on a 5-3 vote the Parks and Open Space Advisory Group recommended that Boulder County commissioners permit GE crops for at least five more years. While this and other advisory groups’ recommendations must be considered, the Boulder County commissioners have the final say. Before the final vote, two of the three commissioners, Deb Gardner and Elise Jones, expressed their support for transitioning away from GE crops on county lands. As reported by Times Call, Ms. Jones said the nearly 1,180 total acres of leased-from-the-county land now used to grow GMO crops annually could be phased out of those kinds of crops over a three-to-five-year period. Ms. Gardner said the transition “should happen in close partnership with the farmers leasing the land” and may have to be done “on a field-by-field” basis. The third commissioner, Cindy Domenico, concurred with the Parks and Open Space Advisory Group’s recommendation, supporting the continuation of current cropland policy. Facilitate the transition of County owned agricultural lands to organic production by providing incentives to make it possible for farmers to make the transition from conventional to organic practices and will require management practices for farmers leasing county lands. The City of Boulder has long been a national leader in sustainable approaches to the management of public lands. Boulder has a comprehensive integrated pest management program to manage weeds and insects on city land, discontinued the use of Roundup (glyphosate) in public places in 2011, and restricted the use of bee-toxic neonicotinoid pesticides on city property in May 2015. Over 70% of all GE crops are altered to be herbicide-tolerant. Increased planting of glyphosate-tolerant (or Roundup Ready) GE crops has led to a dramatic increase in glyphosate use. The use of herbicide-tolerant crops has also led to “super weeds” and the destruction of pollinator habitat. The wave of marketplace transitions towards food produced with safer practices is a sign of the growing power of consumers and the food movement to protect not only human health, but the health of farm workers that cultivate and harvest much of the nation’s food, and pollinators and other wildlife that may be adversely affected in the course of its production. Currently, the best way to avoid GE food is to support organic agriculture and eat organic food. Beyond Pesticides has long advocated for organic management practices as a means to foster biodiversity, and research shows that organic farmers do a better job of protecting biodiversity than their chemical-intensive counterparts. Instead of prophylactic use of pesticides and biotechnology, organic farms focus on fostering habitat with biodiversity and ecological balance, and only resort to the use of least-toxic pesticides when other cultural, structural, mechanical, and biological controls have been attempted and proven ineffective. 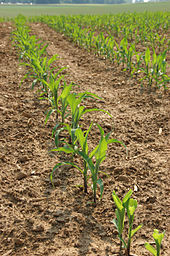 For more on genetic engineering and GE crops visit Beyond Pesticides’ program page Genetic Engineering. Make sure to also visit the Organic page for information on organic food, gardening and what you can do. This entry was posted on Monday, March 21st, 2016 at 12:00 am	and is filed under Agriculture, Alternatives/Organics, Announcements, Colorado, Contamination, Genetic Engineering, National Politics, State/Local. You can follow any responses to this entry through the RSS 2.0 feed. You can skip to the end and leave a response. Pinging is currently not allowed.